FlyWater understands rivers, those that use them, and how to improve them. FlyWater designs projects. FlyWater builds projects. And we do it very well. Working to benefit the river, its fishery and riparian corridor, FlyWater strives to meet our clients goals in a practical and effective manner. After all we get your drift! FlyWater, inc. is an effective and accomplished riverine consulting and construction firm. 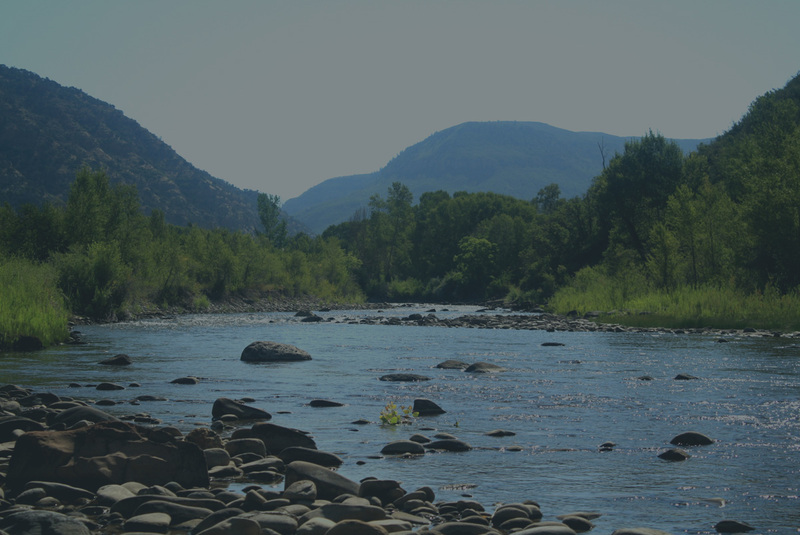 Our passion for rivers combined with our team's unique and diverse experiences has produced many successful watershed conservation and aquatic recreation projects throughout the Rocky Mountains. FlyWater works to meet the goals of the client whether it be enhancing recreational opportunities, fish ecology, stream connectivity, diversion of water or stream restoration. Being located in the West we understand the importance of water to all users and we have successfully worked to improve the infrastructure that conveys this water such as the diversions, headgates, fish ways, and fish screens to allow for a greater beneficial use for all parties involved. Since the incorporation of FlyWater, inc. in 2004, our company's mission and values have stayed the course and created who we are today. FlyWater provides a single point of contact and responsibility that reduces project delays, uncertainty, and risk. We believe that passion drives us to do what we do. There is nothing that FlyWater’s team of enthusiastic professionals would rather be doing. Pursuing a life’s passion generates more knowledge, understanding, and a desire to be the best! We believe that collaboration always creates a better product. To better our profession, FlyWater encourages direct collaboration between fishery and aquatic resource industry experts. On our projects, collaboration between owners, designers, and builders leads to a better understanding of the resource condition and project goals; teamwork that enables us to realize the full potential of the owner’s vision. We believe that guidance provides the best direction. Whether with a project owner or team member, imagination and vision are suppressed when direction is dictated. To bring out true potential, FlyWater uses guidance to unleash innovative thought and strength of mind. We believe that good things come from balance. We recognize the balance between the need for water resource use and the complex task of preserving fragile aquatic resources. Balancing our enjoyment of the natural world between work and our families and friends keeps us grounded, and renews our passion. 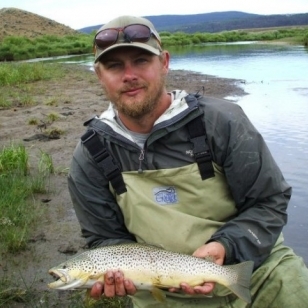 Corey is a Fishery Engineer, Heavy Equipment Operator and President of FlyWater, inc. His engineering degree from Colorado State University and water resource knowledge, coupled with construction and angling experience, gives him an uncanny view of the river. This outlook allows him to communicate effectively while understanding the underlying technical issues that produce excellent riverine projects. 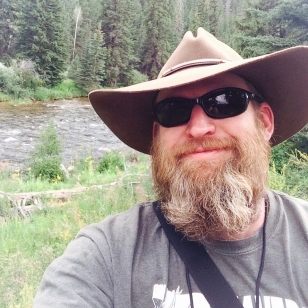 He is the President of the Colorado Riparian Association, sits on the board of directors of the Poudre River Trust and is an award-winning designer. 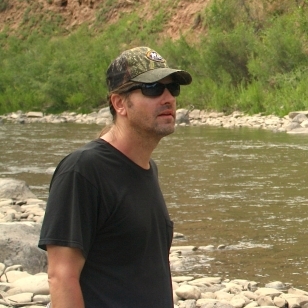 Matt is a River Engineer that applies his engineering degree from Colorado State University to water resource projects. Matt is experienced in a wide range of hydraulics. He is also a graphic artist and musician whose creativity and skills are a driving force behind FlyWater’s projects.,whether they are fish passable diversions, angler improvements, or river restoration treatments. Chris is a highly experienced Construction Manager who comes to FlyWater after designing and building drift boats. His construction career has also included heavy equipment work in environmentally sensitive areas while performing Colorado ski area improvements. He has an ability to deliver real world solutions from conceptual ideas, on time and on budget. His diverse experiences allow Chris to communicate effectively between clients, the scientific community, and the general public. 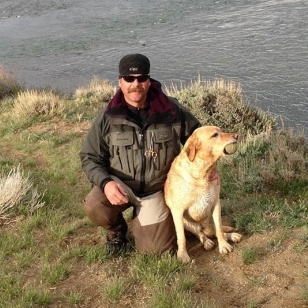 An avid outdoorsman, he is a professional fly fisherman with guiding experience on an international level. Chris is a royalty fly-tier with Umpqua Feather Merchants and is on Winston Rod Company’s pro staff, adding additional perspective to his creative and solid work ethic. 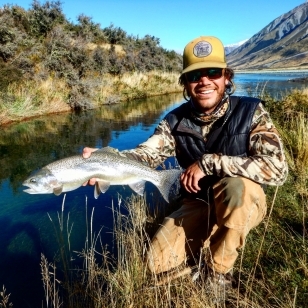 Parker was an intern with FlyWater during his last year attending Colorado State University where he earned a major in Environmental Geology and a Minor in Watershed Science. Parker’s knowledge of western geology coupled with his love of rivers and the outdoors gives him a level of understanding of rivers across a extremely broad scale. With the majority of his off time spent on the water fly fishing, Parker brings a vast knowledge of how a river and its ecosystem function. He is driven by this passion for rivers and strives to understand their complexities. With this knowledge he works to benefit the river while working closely with the client to help bring their vision and goals to fruition. Parker’s skills do not just stop within the discipline of natural resources as he is the assistant manager and marketing coordinator for FlyWater. Parker is also a proficient heavy equipment operator and is a major support to FlyWater’s construction crew. ​Chase has been a member of the FlyWater team since Summer 2015, he is a experienced constructor with many years in and around heavy equipment. Chase has extensive time performing equipment maintenance and repairs and is a accomplished welder and fabricator. With his skill set and his extreme passion and knowledge for all things fishing, Chase has the necessary vision to produce great river work. Amy joined the FlyWater team in the Summer of 2017. She is an aquatic biologist with experience working in both a consulting environment and for state/federal agencies. She has a Biology degree from Colorado State University, specializing in ecology and entomology. Her professional experience has been based in rivers and streams, from habitat and riparian surveys to fish reclamation studies; however, her primary area of interest is with aquatic insects. 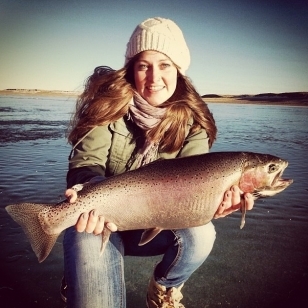 Amy also works as a fly fishing guide on the front range of Colorado. She enjoys getting out to fish whenever possible or working on her insect-inspired artwork. Curt joined the Flywater team Spring of 2017. He comes from a diverse equipment operations background including ski industry slope construction and maintenance, wildﬁre bulldozing and reclamation, and general construction excavation. Curt has consulted in the construction of ski resorts in China, South Korea, and Russia. 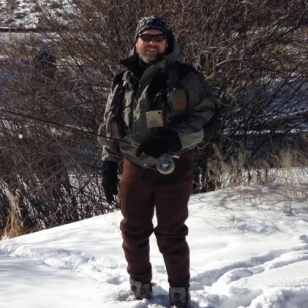 For 28 years he was a college professor teaching new equipment operators and during this time he also developed the curriculum and taught in the Fly Fishing Guide training program at Colorado Mountain College. His ﬂy ﬁshing has evolved from New Mexico trout streams in the 70’s to now include pretty much any species that will bite a ﬂy anywhere he ﬁnds himself. Cameron is a seasoned Fishery Biologist who spends most of his time working for CSU’s acclaimed Larval Fish Lab. His ability to view fisheries from both the ecological and sporting perspective allows him to understand the underlying biological issues that produce excellent fisheries, while maintaining ecological integrity. 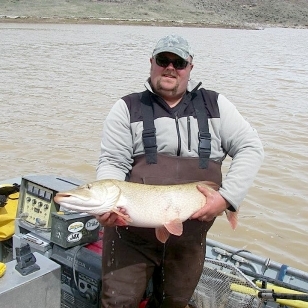 He has been extensively involved in the Upper Colorado River Basin performing electrofishing surveys and native fish identification. Cameron is an enthusiastic and skilled biologist who is able to produce the comprehensive assessments needed to restore and sustain healthy fisheries.